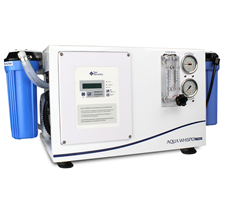 The Aqua Whisper Pro watermaker is suited for charter, offshore fishing and ocean cruising. It's traditional functions and touch-pad control panel allows for simple operation. 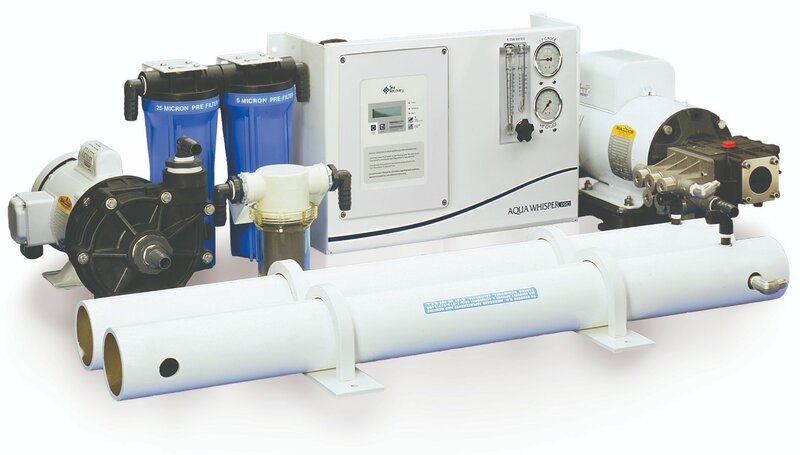 It's high pressure pump is engineered to be quieter than conventional high pressure pumps and operates for 2,500 hours before any maintenance is required. The new state-of-the-art Touch Pad Remote Control allows for remote operation and monitoring of your system.